If any company is renowned for getting good media coverage after announcing something that is potentially many years away from happening, it’s Virgin. Sir Richard Branson is making headlines again after announcing that he wants to develop planes that are so fast and so powerful that passengers will be able to travel from New York to Tokyo in less than an hour. He claims that the technology, which would enable planes to be developed that could fly at 19,000 mph, could be available sooner than people think. He told CNBC that once his Virgin Galactic space tourist project is underway, his attention will turn to developing supersonic commercial flights. This is sure to get people excited about the future of air travel and why not? It would be great to be able to hop on a plane and fly to New York for a day trip. However, with tickets costing $250,000 for Virgin Galactic flights, this kind of super speedy air travel isn’t likely to come cheap. 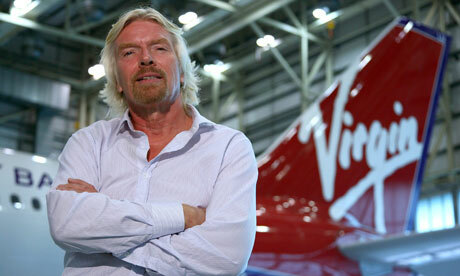 With Concord having made it possible for people to fly from London to New York in three hours, Branson wants to make it possible for people to make this trip in an even shorter time ... all within his lifetime. I think the great thing about Virgin is that, even though this is just another announcement and in no way a promise, most people will really believe in it and think it possible. It saddens me to write about Pizza Express as an example of bad PR today, because oh how I do love the dough balls and the other delicious Italian treats on the menu. The restaurant chain has angered some campaigners and received a shed load of fairly negative media coverage after it has come to light that all of the dishes on its menu that contain chicken contain a ritually-slaughtered halal version of the meat. Some people aren’t too pleased about this, as customers are only told that the chicken they are being served is killed in line with the strict Islamic law if they ask the members of staff. It isn’t stated on the menu, but it can be found on the Pizza Express website. Even though it’s being made out to be a huge secret, it isn’t really. On the Pizza Express Twitter account, plenty of tweets in reply to customer enquiries have specified that the chicken is halal and various media outlets have picked up on the fact in the past year or so (not in a negative way either). In case you’re wondering, chicken can be classed as halal when the bird’s throat has been slit while it is still alive and a Koranic verse is recited during the ritual. I bet the slaughter of animals is exactly what you thought you’d be reading about today on this very PR blog isn’t it? I hope I haven’t put anyone off their food. I guess a lot of people are peeved because they don’t like knowing how the meat they eat is killed. Now that the halal chicken on the menu in Pizza Express is more publicly known than it perhaps was, it’ll be interesting to see how this affects business. Many Nando’s restaurants use halal chicken too, but I doubt that’s put people off getting their fix. 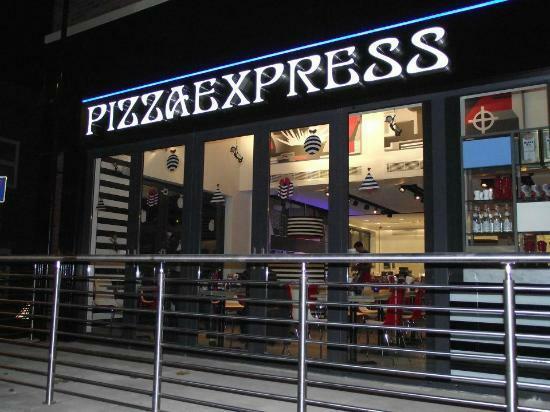 Some media outlets have defended Pizza Express, saying that it really was no secret, but that doesn’t take away from the fact it was front page of The Sun and plenty of people would have seen the story. It was also mentioned on Sky News and in just about every national newspaper, so if Pizza Express was hoping to keep the halal chicken on the down low, the cat is well and truly now out of the bag. The restaurant chain is keen to stress that the birds are stunned before having their throats cut. Yummy. In other news, Miley Cyrus has made a fool of herself (again) whilst on tour in the UK, by allegedly telling her audience that “weed never killed anybody” and making sexual gestures within 10 minutes of the show starting (according to fans on Twitter). There are plenty of photos floating around of the controversial singer wearing leotards that barely cover her modesty, which is never a good look when the media is constantly looking to pick up on celebrities that are far from role models. Andy is sunning himself in the tropics of Center Parcs so it’s me, @ShazzaYeti, bringing you this week’s instalment of good and bad PR. Seen any good or bad PR recently, you know what to do, @10Yetis on The Twitter or andy@10yetis.co.uk on email.